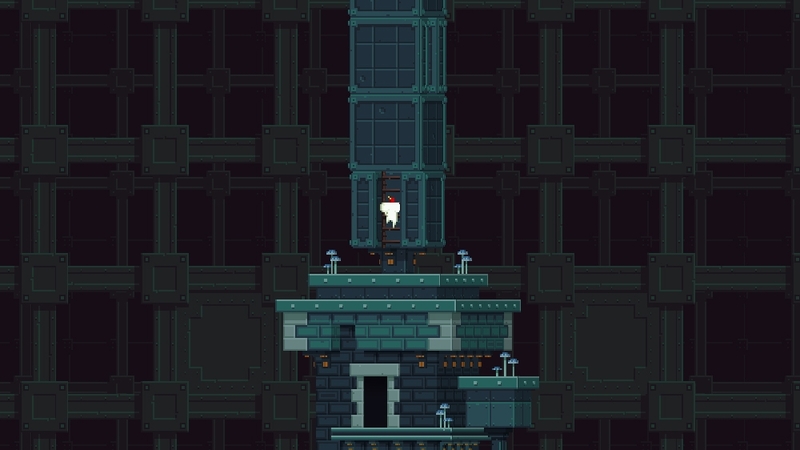 The platforming is responsive and very forgiving – no health, no real enemies to speak of, and death from dropping too far results in instant respawning from where you leapt from. 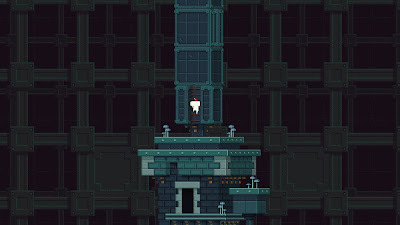 Unlike a lot classic platformers, there are no numbered stages and levels are connected through numerous doors – some of which are locked and require using one of the keys Gomez chances across - some only open when Gomez has a certain number of cubes. Despite locked doors, from the word go there are a lot of areas to explore. Initially this is slightly intimidating, and unfocused wandering around collecting shards of cube is the order of the day. 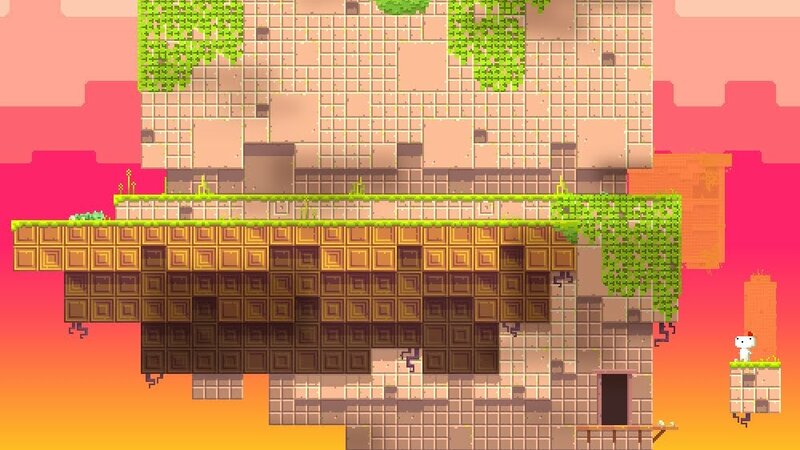 Some sections require some fairly simple puzzle tasks to be solved to navigate areas, valves to be opened to change water levels, sections of the landscape to be rotated in 3D, or (at its most taxing) timed platforming jumps. At this point the fear sets it. Something along the lines of "This is not presenting much of a challenge, and I am collecting cubes at a rate that'll mean I've finished it well before I feel I have got my money's worth." The player's opinion is probably also not aided by a map screen (which adds new areas as you first visit them) and never quite makes the world intuitive to navigate - thus players can find themselves occasionally wandering aimlessly through areas they have already been to. And the game might actually crash once in a while – unforgivable for a console game (in this reviewer's play-through there were two crashes, both of which ejected to the Xbox dashboard – but the auto saves are so frequent it caused little more than a slightly worrying inconvenience). Developers Polytron have acknowledged this problem and are hoping to issue a patch as soon as possible. So given the above paragraph, how can this game possibly be deserving of the 5/5 score? Simply by offering the determined player so much fun. Taking it's inspiration from Nintendo's Super Mario series, the game is full of secrets. Rooms are full of runes to be decoded, and every nook and cranny has something tucked away in them – often taking the form of a cryptic puzzle to solve. Some are obvious – it's probably not too much of a spoiler to suggest that most people would spot a QR code painted on a wall and realise it might be helpful to decode it – and solving one of these mysteries rewards the player with an anti-cube. There are 32 of these this in the game, making 64 cubes in total, although only 32 (of any colour) are required to 'complete' the game. Completion is (literally) only half the story though, once finished you can start a 'New Game+' which continues from where you got to, with a distinctly game changing addition (which I shall not spoil here), allowing the completion of cubes that would have been previously impossible. Once you have gotten to this stage it is time to allow your O.C.D. to kick in and return to the map – which, despite being slightly unhelpful to navigate, does give information as to which areas have yet to give up all their secrets. And so the hunting begins. It is a long time since I felt the need to take notes as I played through a game, jotting down things I saw on walls that might come in handy later, or trying to decipher the language being used in the game. These things, that seemed initially like design choices to create mystery and add flavour really are the mysteries to be solved. You know that the scraps of paper that Gomez finds give clues to something... but the game doesn't tell you what. You are expected to deduce, and work at solutions – in a game that has such rudimentary platforming challenges, it is refreshing to see a complete lack of hand-holding with the puzzles. It feels almost akin to a point-and-click game in so far as the tests are cerebral and half the game is trying to work out what it is trying to ask you to do. 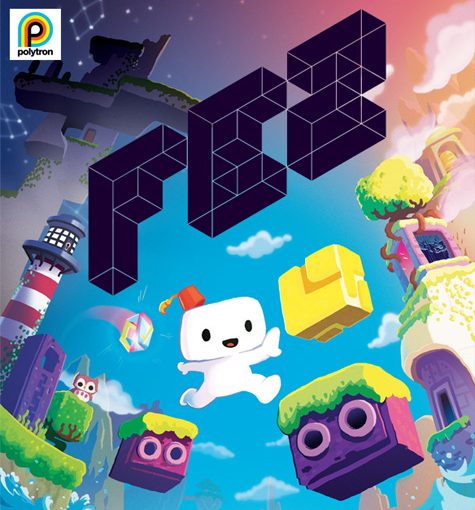 Without doubt this is where the game shines – it takes a force of will to not resort to looking answers up on the internet – but to do so would be to miss out on most of Fez's delights (and the feeling of achievement when you crack a puzzle). Retro gamers will love the delightful homages to the past – whole areas that look like Gameboy or VirtualBoy games, a crashing NES, nods to Zelda and utterly delightful low res pixel art. It is clear that lead designer Phil Fish has a genuine fondness for all things Nintendo. 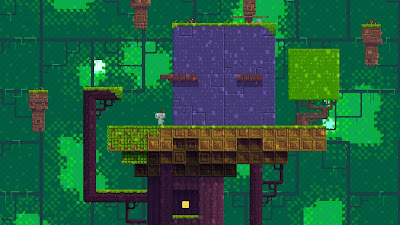 Yet, despite Fez sharing it's 2D-in-a-3D-world with Paper Mario, this is a lazy comparison – Fez might actually owe more to the Super Mario Galaxy games – with their short discreet levels that are quickly unlocked, and a willingness to have great new ideas used for a single level, then not explored again. 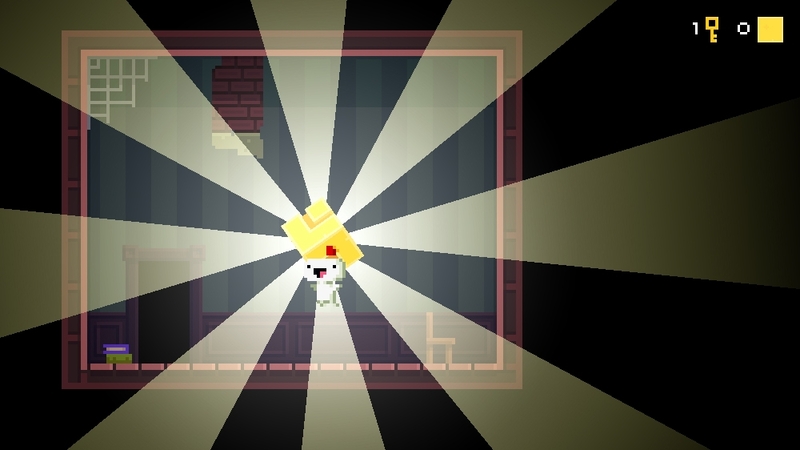 Fez is full of this – smile inducing devices are found all over the game, but ideas not are spread thinly, perhaps only used once or twice. The notion of returning to the game after it is 'complete' is also very Nintendo – 100% completion on this (or Galaxy) is only half the game – and certainly not where the real challenge lies. The naysayers will point out that the artwork is very reminiscent of Cave Story, and that the game is too short (poppycock if you are actually solving these challenges for yourself), but everyone who enjoys some lovely platforming, and a sense of wonder (at both the game world, and the puzzles) should buy this immediately – it joins the hallowed list of Braid, Limbo, Portal and Super Meat Boy that every Xbox owner should own. Unreservedly recommended. (Fez can be purchased from the XBOX Games Marketplace for 800 Microsoft points. A free demo version is also available). Buy the game here (from the XBOX Games Marketplace).